There is one thing in my kitchen that has grown a bit over the last few months. 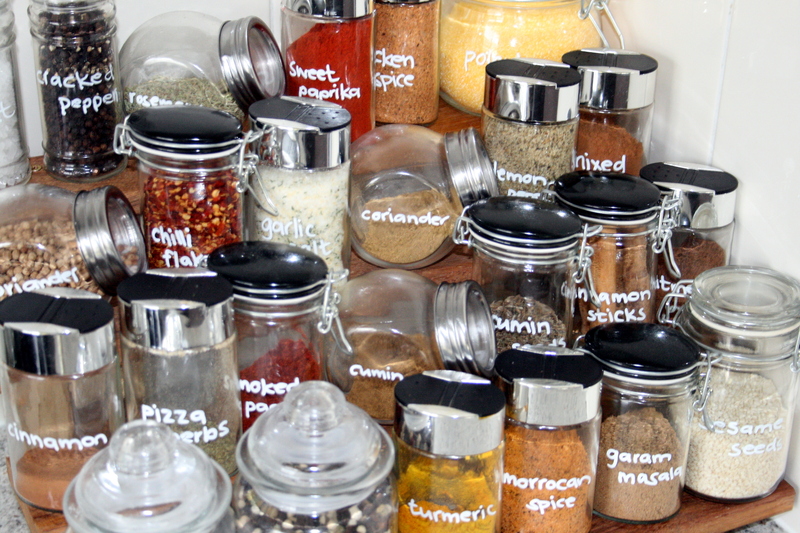 As my confidence and determination to regularly cook from recipes is increasing, so is my spice collection. And the little eight jar spice rack I bought after the wedding was no longer adequate. I am also a reasonably organised person (I love lists and hate change), and the one thing I cannot stand to be untidy, is my pantry. There is nothing in my kitchen that irritates me more than an open packet of flour, or sugar, or pasta, and more recently open packets of spices falling and spilling all over each other. So the simple solution was to get a bigger spice rack. However I also adore things that are different and creative and unique, things that show your own personal touch (especially in a well-loved room such as the kitchen). 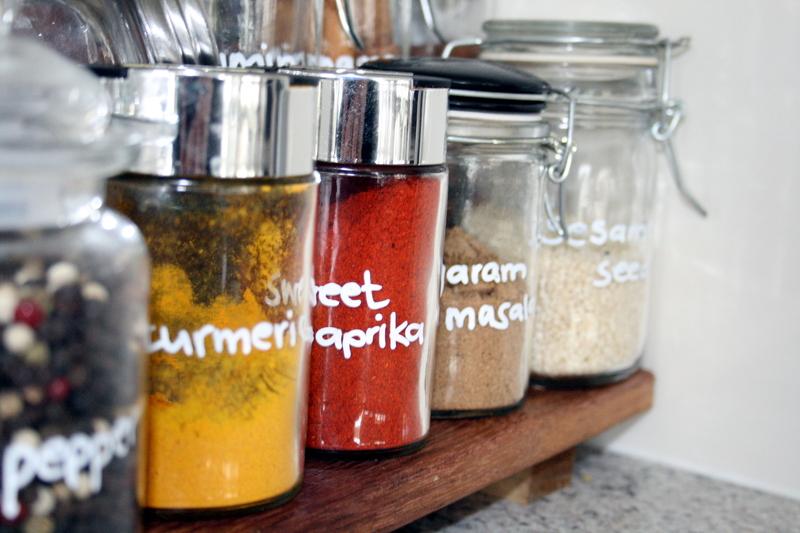 So after catching a glimpse one day of Jamie Oliver’s spice rack against his kitchen’s back wall (just to be clear: while watching him on television, not lurking in his garden), he had a collection of different jars with different spices, I decided to adapt that slightly to suit my own kitchen. Ideally I would have loved a wide collection of pre-loved jars with character, but I needed some new jars straight away. So off to the store I went to buy a selection of different sized glass jars. Then my amazing husband built me a custom-made wooden rack to house all my new little jars, and made me a very happy wife (with a very tidy pantry). 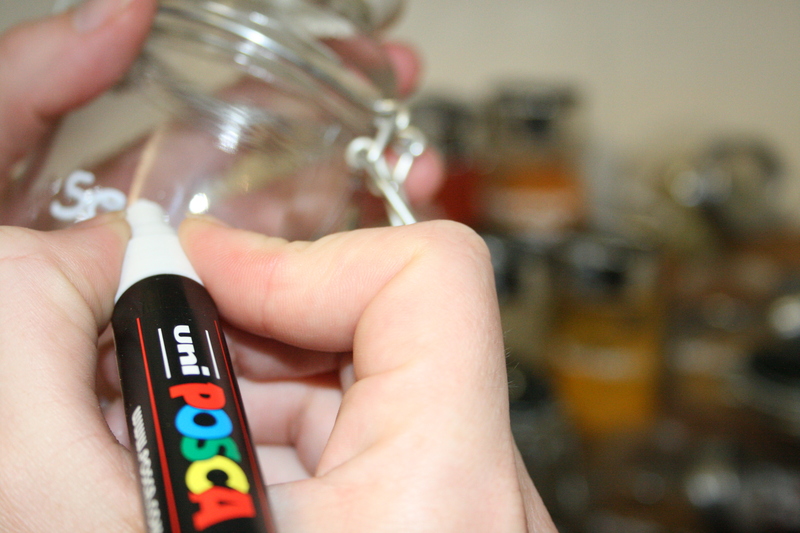 But getting to my good idea…I found this magic pen that can write on glass (and other surfaces) which was a wonderful tool to handwrite what each jar contained. 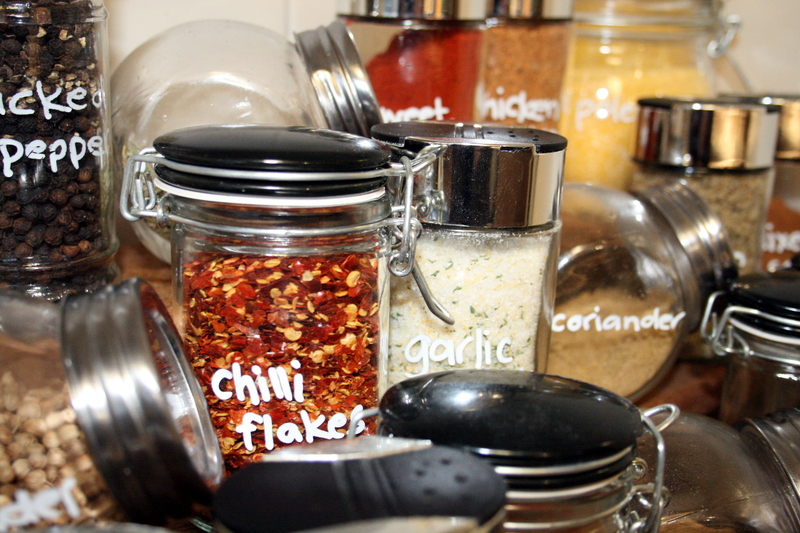 And apart from labelling spice jars, it will come in very handy if you’re making any home-made Christmas gifts in glass jars this year. As you can see from the photos, I’ve started to build up quite the selection, and I have not even come close to the plethora of Indian and Middle Eastern spices, soon the husband will have to build me a spice cupboard! But if there is one thing I can convey today, it is this, have the confidence to try new recipes with spices you may never used before. It is such an inexpensive way of turning an ordinary meal into an exceptional meal, and your household will love you for it. 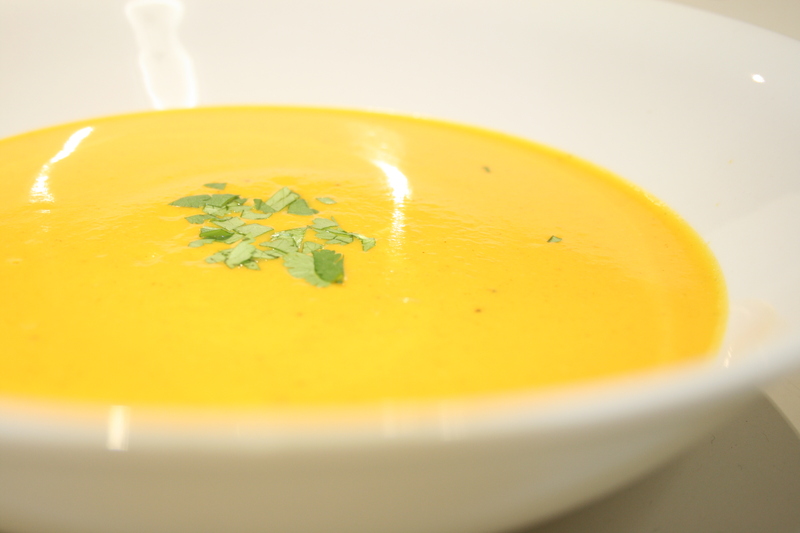 Now, even though this is predominantly a baking/dessert blog, I simply cannot post about spices and not share my favourite recipe for butternut soup. I’m not a huge fan of soup. For years the only soup I would eat was my mum’s mushroom soup which is out of this world (and which I’m hoping she’ll make for me when I go home for a visit later this year – hint, hint). And then one day I decided to make some butternut soup, there is something about the colour that is just so attractive, and it is one of the vegetables that the husband loves. And it turned out way above expectation. The combination of spices and natural sweetness of the carrots and the slight saltiness of chicken stock, all just works. It is also a great little starter that you can make ahead of time, even the day before, and just heat up and stir in the crème fraiche right before serving. Roast the butternut pumpkin for approximately 30 minutes or until soft. In a heavy-bottom saucepan, heat the oil and cook the onion and carrot over medium heat for a few minutes until soft. Stir in the spices. Add the pumpkin, chicken stock and water and season with salt and cracked pepper. Bring to the boil then reduce the heat to low and simmer for approximately 40 minutes. Let it cool slightly and pour it into the blender, and blend until smooth. Return to the saucepan and add the crème fraiche and heat gently for a few minutes. …be fearless, and have fun!